Yet even as reformers push to reduce the use of solitary, there are still thousands of prisoners held in isolation. The charts below show who is being held in solitary, where and why. In 2014 and 2015, researchers at Yale Law School and the Association of State Correctional Administrators canvassed prison administrators in an effort to understand how solitary confinement is used in America. The Yale study estimated that the solitary population would climb to 80,000 prisoners — or about 5 percent of all prisoners — if data was available for inmates in all state and federal facilities. And that still doesn’t account for those in solitary in county jails, juvenile facilities or immigration or military detention. If these facilities were included, the number would be even higher. For comparison, the United States has about as many prisoners in solitary as the United Kingdom has in its general prison population. The U.S. prison population skews male, and the solitary population even more so. The Yale study identified 59,049 male prisoners in segregated housing across 43 jurisdictions, but only 1,458 female inmates. Chart shows data for 57,217 solitary prisoners from 43 jurisdictions. Excludes Asians and other races representing 3 percent of the total prison population and 3 percent of the solitary population. White male prisoners were slightly less likely to end up in segregation than black inmates. The trend is more pronounced among female prisoners: White women make up 58 percent of the general population, but only 42 percent of solitary inmates. Black women are 24 percent of the general population but 41 percent of those in solitary. Figures reflect totals for 67,346 solitary prisoners from 47 jurisdictions. Solitary population doesn’t correlate cleanly with state prison population. Some states incarcerate a lot but limit the use of solitary, while others do the opposite. California, the most populous state, ranked third in overall inmates — 128,164 — but it had only 1,104 in solitary. That’s fewer than 19 other jurisdictions, including smaller states like Illinois, Missouri and Tennessee. Louisiana and Utah each held about 14 percent of prisoners in solitary, according to the Yale study, the highest of any state. (Officials from both states later contacted researchers to dispute their counts). Since 2015, jurisdictions that have been prone to use solitary have become focal points of reform, including New York and the federal Bureau of Prisons. Chart reflects data for 54,364 solitary prisoners from 41 jurisdictions. Solitary has been linked to a range of psychological problems, including depression, hallucinations, self-harm and suicide. In 2011, United Nations Special Rapporteur on torture, Juan E. Méndez, called for an absolute ban on solitary confinement lasting more than 15 days. “Considering the severe mental pain or suffering solitary confinement may cause, it can amount to torture or cruel, inhuman or degrading treatment or punishment when used as a punishment, during pre-trial detention, indefinitely or for a prolonged period, for persons with mental disabilities or juveniles,” he said. 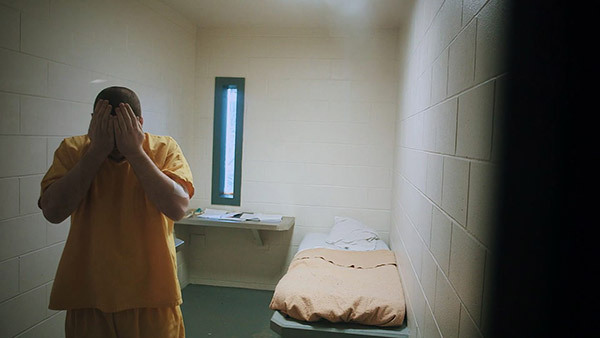 In the U.S., however, it can be rare for prisoners to spend less than 15 days in solitary. Stays typically start at 30 days, but can often last years or even decades. According to the Yale study, most inmates spend at least one month in isolation. Showing the top 10 jurisdictions for each chart out of a total of 5,894 solitary prisoners from 40 jurisdictions. In every state that responded to Yale’s survey, prisoners were held in solitary for months or years. In Texas, nearly half of all prisoners in solitary had been there for more than three years. On the opposite end of the spectrum, in Hawaii and Vermont, no one stayed in isolation for more than three months. 50,014 solitary prisoners from 37 jurisdictions. Punitive confinements tend to be shorter, researchers found. Few prisoners stay in solitary as punishment for a specific offense for more than a few months. Administrative segregation is the most common form of isolation, and prisoners tend to stay there the longest. Showing 11,561 guilty offenses that resulted in a disciplinary segregation term, excluding private contract federal prisons. Unlike administrative segregation, the use of solitary as punishment usually comes with a fixed length of stay, at least in the federal Bureau of Prisons. A Department of Justice report described a process akin to the larger criminal justice system: inmates who violate prison rules may be put into solitary confinement immediately after a violation, and then brought before a review hearing to determine a longer sentence. In recent years, some states have moved to better define which infractions can land a prisoner in solitary. In North Dakota, for example, those infractions are now limited to things like assault and battery on staff or an inmate, sexual assault, arson, trafficking, rioting, attempting to escape, taking hostages or homicide.